For those of you in search of a truly unique venue in which to have your wedding, then we just might have you covered right here in the Castle of Joy located in Murphy in the western Carolina mountains, just a stone’s throw away from Blue Ridge, Blairsville and Hiawassee, GA.
We’ll do as we’ve done in other articles in our ‘North Georgia Wedding Venue’ series and ask pertinent questions that we feel like you might want to get answers to as you search for just the right spot to have your wedding. To really understand and appreciate this one-of-a-kind venue, seeing is believing! Once you’re done reading our interview with Cristine Cambria, be sure and visit their site at castleofjoy.com to check out pictures they have posted of both the interior and exterior of this venue and its surroundings. You’re going to love it and I can’t wait to take some of you to visit! Now here’s our interview with one of the owners of Castle of Joy, Cristine. Unique Events: There are probably a number of different adjectives that come to mind after seeing your venue and somehow ‘venue’ doesn’t seem to do it justice. I think for me all that comes to mind is ‘WOW’! 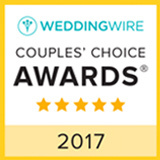 While we’ve seen a number of different wedding venues all over the north Georgia region, there’s simply nothing remotely like it that I’m aware of. Give us some of the backstory, as to what led you and your brother, Vincent, to start this business and maybe equaling as intriguing, how did you happen across this piece of property? Was it your intent to actually find a castle or something very similar? Castle of Joy: Actually no, we were not in the market for a castle haha!, we were in the market for a life change and a place to express our visions for the next chapter of our lives. Vincent and I are artists, siblings and best friends. We’ve traveled and worked together for many years collaborating on several business ventures along the way. We both found ourselves at a turning point in our lives and wanted to take everything we’ve learned over the last 20 years, apply it in a way that would feed our dream of living a positive, creative life, and we wanted to work together to create it. My background is in the arts and the business of art. Vincent’s background is in the health and fitness industry, education, and business. He co-founded a gym/training institute in Gainesville, Florida and developed and taught several advanced training certifications for massage therapists and personal trainers. After 8 years he sold his gym to direct and revitalize the massage school he’d been teaching in for over 15 years and attended in his youth. I worked on the branding, web design, graphic design and overall operations at his gym and did similar creative work for the massage school. At the same time I worked as a fine artist and designer and created an art brand called Sincerely Joy. I always had a desire to see my art on the things we use every day. I now have over 700 hundred products to choose from and the castle is the perfect showroom and gallery for my work. In 2019 I plan to teach the art of pattern making and everything that goes along with this new wave of (POD) print on demand to help artists supplement their fine art income. I’ll also be teaching my intuitive approach to mixed media painting. Vincent will be teaching his brand new series of workshops geared towards personal growth, health and happiness as a way to heal, CEU workshops for massage therapists, as well as the IMAP (Integrative Massage and Personal Training) certification program he developed. He has always been a creative visionary expressing his art through business and teaching and he’s found new ways to express this creativity. Woodworking is one of his newest mediums and the castle is never short on inspiration for the next project. We both consider the castle an ongoing, ever evolving installation of our work. 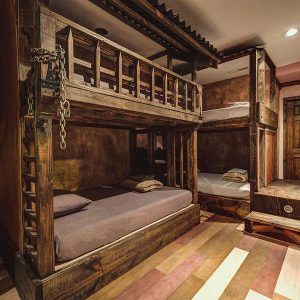 From the hand plastered, abstract painted walls and ceilings to handcrafted bunks, room by room we are transforming this magical place into an inspiring creative oasis. This is true for the 11 acre grounds and trails as well. We have many plans for it’s growth including a sculpture garden in the meadow by the stream and hobbit homes built into the earth. 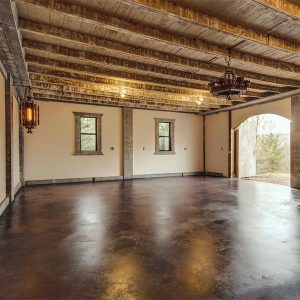 Our first step was the renovations to offer sleeping accommodations for those unique, one of a kind, destination wedding experiences, as well as retreats, corporate and social gatherings, workshops, or any other event that would appreciate the uniqueness of the property. A murder mystery night is in our near future! We want to spend this next chapter of our lives focused on creating and growing an inspirational joy filled space where couples can live there dream fantasy wedding and where all of our guests can relax, enjoy, laugh and have fun! We call it Castle of Joy because that is what we want people to feel, experience, and take home with them. To answer the question how we happened upon it, I was researching retreat centers and properties that would allow us to host our workshops. We wanted a place with land that was beautiful and peaceful and had enough sleeping accommodations for those traveling to our retreats. I also planned that in my retirement I would own a home on enough land to offer as a wedding venue primarily to bring that love energy into my life and home in my later years. Little did I know that would happen way earlier than expected. I found the castle online in the middle of one sleepless night and emailed it to Vincent kind of as a joke at first. It kept tugging at us though. We had visions of what we could do there and the ideas kept growing until we finally reached out to the sellers and arranged a visit. It was being run as a lodge and only the top floor was open to guests. When we first walked in we were wowed by it but couldn’t quite see how it fit our vision yet. It wasn’t until our realtor Joy showed up- (yes, her name was Joy!, one of the many signs we were on the right path.) and opened the downstairs and carriage barn that the pieces started fitting together. It wasn’t quite there in terms of what we needed, but the bones were there, the shear creative uniqueness was there, and the beauty was everywhere! This was a really unusual, special place and we were inspired by it to say the least. We knew immediately walking through the downstairs it had gallery potential. We could see a bride walking through the handmade castle doors through the moat. We saw how every inch of the space could be a functional photography set, and it has organically become a very hot location for photo/video shoots. We felt the magic of the grounds and the fantasy of the structure. It was the perfect vessel in which to grow our visions. We still get so excited to share the space with our visitors. We will continue to add to the space and grounds and we’ll be hosting quarterly art shows/parties as a way of sharing each new progression, as well as a way of connecting with local artists and interested or curious guests. We have fallen in love with the north Georgia and western North Carolina mountains! We find Murphy to be a special place and we’ve already met some amazing creative people that will be invited to show their work. We feel so fortunate to be connecting with the community and we’re quickly growing our network of like minded creatives, vendors and resources. Andrea at Unique Events being one of those! Unique Events: Give us a brief rundown as to the types of services you are currently offering through Castle of Joy? 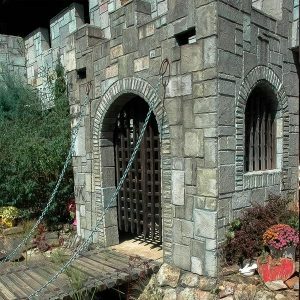 Castle of Joy: We currently offer a customizable venue for those looking for a unique, one of a kind experience. We offer all inclusive venue plus lodging as our standard package for any wedding, retreat, workshop, or social and corporate gathering. The two suites on the top floor are perfect for the bride and groom to prepare in. The french doors in each bedroom suite completely open to the large castle terrace with the beautiful Blue Ridge Mountain views. This makes for incredible pre-wedding preparation photos. You can’t help but feel like you’re part of some kind of surreal fantasy world! 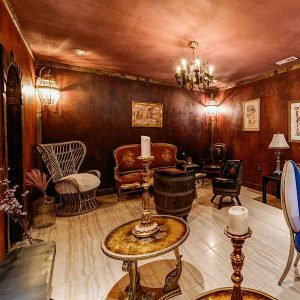 There’s also a fully equipped kitchen, living room with fireplace, TV, and Dungeon Gallery Lounge with original art throughout for their family and bridal party to enjoy while they wait. 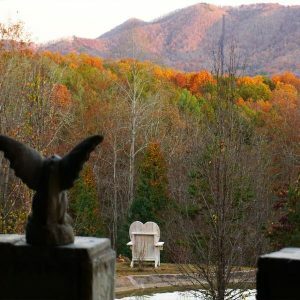 They can take a nature walk or hang out on the grounds, lounge by the giant heart shaped pond or any of the seating areas throughout the property including Vincent’s giant handmade heart shaped adirondack chair facing the mountains. We’ve never had a couple climb into it without a laugh. There’s plenty of room for the little ones to run around outdoors and it’s very possible to spot some wildlife on the property. We have a large family of deer and wild turkeys that come to visit often. 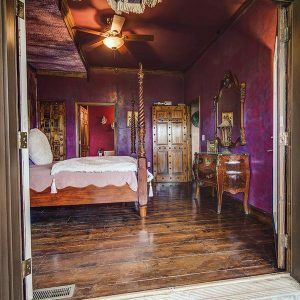 We invite our newlyweds to take over the entire castle, grounds and carriage barn for 2 nights and 3 days and we’ll assist in the creative aspect as much as possible or provide resources of people who can. We have a popular package that includes an additional 4 nights at the castle bringing it to an entire week of Castle of Joy experiences! They can do this with or without their family, friends, and bridal party. We leave everything open and available to be used how they wish for the whole week. We want to make this milestone event as easy as possible on the couple and their guests while simultaneously making it a unique experience they’ll hold in their memories forever. Vincent and I joke that we are in the memory making business. It’s truly our greatest Joy knowing we are providing a space that will create these memorable experiences in peoples lives. We believe the experience from beginning to end should be remembered forever with joy. 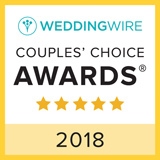 We know planning a wedding can be one of the most stressful times in our lives so we’ve organized our packages with that in mind and try to make it as easy as we can so the couple can enjoy the day AND the process along the way. Unique Events: For that bride and groom reading this article what can you tell them about the ideal size wedding you are best suited to accommodate? Castle of Joy: We prefer intimate events under 100. This gives us the ability to really customize the space and their experience, however we have no set rules on this just yet. We strive to be as flexible as possible. We won’t ask you to cut your guest list down. If we can make it work we will. Unique Events: Now that we’ve answered questions regarding ideal wedding party size, what services and/or amenities come standard for that couple wanting to reserve Castle of Joy? Are there any that you offer that are over and above your base offering? If so, what are those? available to our guests to use for centerpieces and decor. Some examples are antique frames and glass bottles, greenery, candles, and a large decorative metal easel to be used however they wish. It’s a perfect place for the couples photo or a guest signing board etc. Over and above the base offer is our all inclusive wedding / honeymoon package that includes an additional 4 nights using all the amenities they had the day of. In the very near future we will have a selection of custom wedding favors to choose from for their guests and bridal party, as well as invitations, save the dates, and thank you cards which includes custom graphic design. One other thing we’d like to mention is when possible we offer seriously interested couples to spend the night at the castle at a discounted rate with no minimum stay so they can really get a feel for it. We know many of our couples are traveling a distance to see the space so we’ve decided to offer an overnight visit after the tour so they have enough time to explore, visualize, and let their imaginations run wild while they create and plan their own unique wedding experience. Unique Events: Because we know that many brides want to get married outdoors in the Georgia or North Carolina mountains we also have to ensure that they have a ‘plan B’ in place should the weather not cooperate. Do you have indoor and outdoor ceremony (and reception) options available? Castle of Joy: Yes, the 1000 square foot carriage barn overlooking the Sweetheart Pond and grounds would be the ‘plan B’ for the ceremony. The pavilion area right next to the barn could be tented for the reception making easy access between the indoors and outdoors. The top floor of the castle and terrace would be an optional plan B for smaller gatherings. Unique Events: One of the services we make available for our clients is to assist them in finding just the right venue that fits their particular tastes and maybe most importantly is within their budget. As best we can we try to help educate our brides, like what we’re doing in this series of recent blog posts, with what options are available to them. One such way we’ve been doing this in these posts is to ask venue owners/managers to briefly tell us who they are best suited for. Castle of Joy: Castle of Joy is the ideal wedding venue for the couple looking for an intimate, unique one of a kind experience and backdrop for their special day. 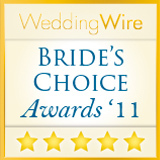 Fantasy and niche type weddings are our specialty. If you’re a bit on the quirky side, have that creative chip, dreaming of a fantasy themed wedding and want your guests to have an out of the ordinary experience, you must come for a Castle of Joy visit! Unique Events: Cristine, again we are very appreciative of your time today and feel like you’ve given our readers some really good information to consider. Is there anything specific that you’d like to leave us with that we might not have covered? 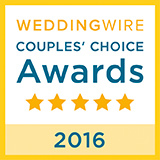 Castle of Joy: We understand no two couples and no two weddings are the same, nor should they be. 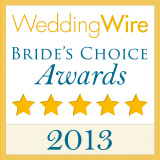 We also know that there are many options to choose from when choosing a venue. There are plenty of farms, barns, and traditional venues available in the Georgia and North Carolina mountains, the Castle of Joy isn’t for everyone but we welcome anyone! We believe who you choose to commit to and spend your life with is your choice and it should go without saying (but we’ve been told we must say it) we are friendly to all! Unique Events: I’m guessing once brides and grooms read through our interview here that you’re going to have piqued some interest to the point where some will want to come and do a site visit with you. We sure hope that is the case! What should they know about how to go about setting that up with you? Castle of Joy: We hope that’s the case too 🙂 They should first check out our website www.castleofjoy.com and they can either follow the contact form, email thecastleofjoy@gmail.com, or call 352-363-0023. We are giving tours based on availability of the castle and the couples schedule. 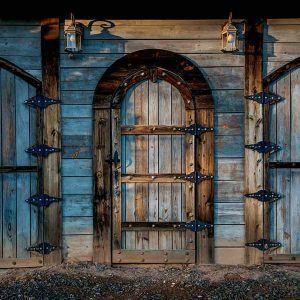 For the busy couple that needs a tour after hours, that’s not a problem, in fact the castle comes to life at night with an orchestra of wildlife and evening lighting to enjoy the magic of the Western North Carolina Mountains. Again, easy and stress free is what we want your experience to be from the very first inquiry! Unique Events: Lastly, tell us how we can find out more about Castle of Joy online including social media?